On March 31, 2017, the 18th Annual ACA Rehabilitation Symposium began. It was held in Orlando, FL at the Wyndam Disney Springs. It was well attended and was an event not to be missed. There were outstanding speakers discussing a variety of current rehabilitation topics. There was an additional room filled with vendors as well as socialization, networking and an overall good time for the entire family! Dr. David Seaman was the first speaker to present regarding how inflammation can disrupt rehabilitation. He was energetic and a pleasure to listen to. He gave the audience great tools to quickly and easily reduce inflammation.Dr. Alf Garbutt and Dr. Jerrold Simon followed with an outstanding lecture titled “Rehab of Military, MVA, and Sports Concussions”. It was a great lecture encompassing looking at subtle cues for neurologic conditions and then a great introduction tovestibular rehabilitation. Dr Stephen Perle began Saturday’s lecture series with a lecture titled “Spinal Rehabilitation Exercises”. He tackled some of the most current research as it applies to rehabilitation. Dr. Robert “Skip” George followed with “Postural Rehabilitation for Rehab and Performance”, giving the audience a taste of the treatment philosophy of the Postural Restoration Institute. It was very interesting perspective. 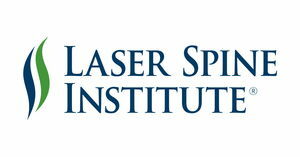 After lunch and meetings, Dr. Jerome True gave an outstanding lecture titled “Laser Therapy Treatment for Radiculopathy”. It was filled withinciting information on this relatively new field. Saturday concluded with Dr. Perry Nickelston’s lecture titled “Kinesiology Taping for Rehabilitation and Sports”. It was a combination of lecture and lab, teaching new taping techniques and discussing his personal treatment philosophy. Sunday began with a choice of lectures; Dr. Ted Forcum titled “The Use of Instrumented Assisted Soft Tissue Mobilization”, which included a variety of IASTM treatment with HawkGrips and additional taping with KTtape. A truly excellent lecture. Concurrently, Dr. Jeff Lavallspoke about “Optimal Rehabilitation through Nutrition and Supplementation”. It was a great lecture filled with easy applications for your patients that could be put in place Monday morning. The Symposium concluded with a lecture from Jonathan Puleio titled “Fundamentals of Office Ergonomics for DC’s”. The discussion include some great statistics and east application for patients the resolve some repetitive strain injuries as it relates office ergonomics. The symposium was a great opportunity to network with top rehabilitation-minded DC’s in the profession. It was an amazing event only to be surpassed by next year’s 19th annual symposium April 4-6 in Las Vegas, NV and the Flamingo Hotel!